by Tineke and Joep Bartels Hardcover, 158 pages. Profusely illustrated throughout in color. The common belief that riding a horse can happen effortlessly and naturally is dispelled in this training method from one of the world's leading schools. The method teaches that riding is an activity that must be learned by both horse and rider through a conscious awareness that ultimately will become a subconscious ability, once the modern equestrian gains a "feel" for riding. 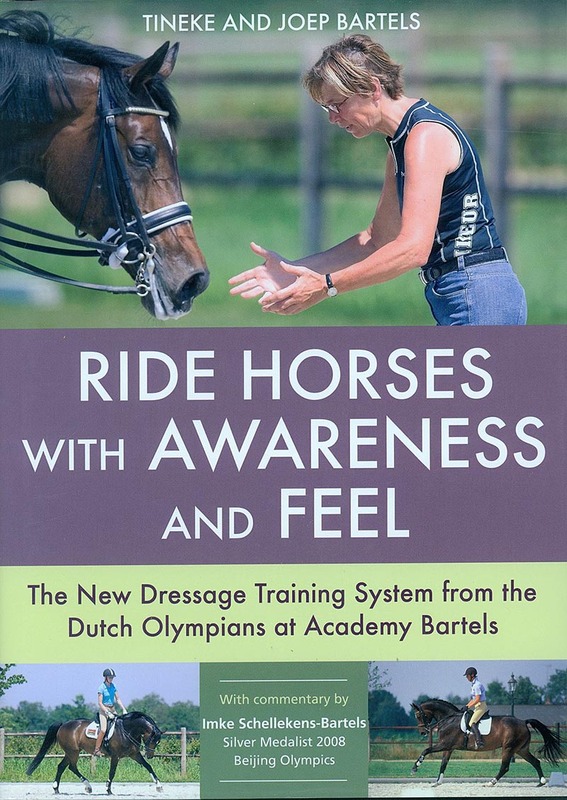 Not purely a technical endeavor, a feel for riding is developed by learning to communicate with a flight animal and a herd animal, developing self-knowledge and self-control, developing body control, body language, and an independent seat, and learning to give effective aids by training with "questions and answers." Covering the important points that classical literature overlooks, such as the being of the horse and rider psychology, this revolutionary methodology will help a rider achieve awareness and feel in the saddle.